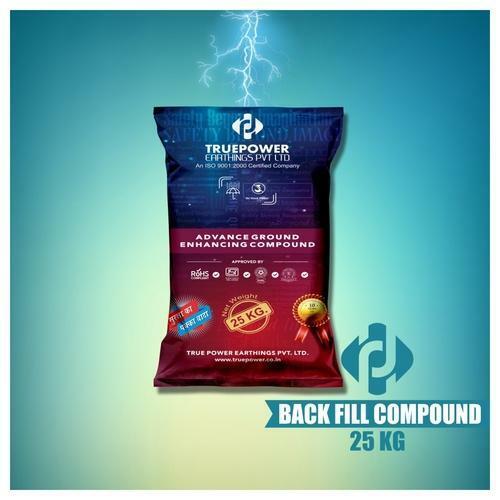 Our product range includes a wide range of earth enhancing back fill compound, back fill compound and back fill earthing compound. 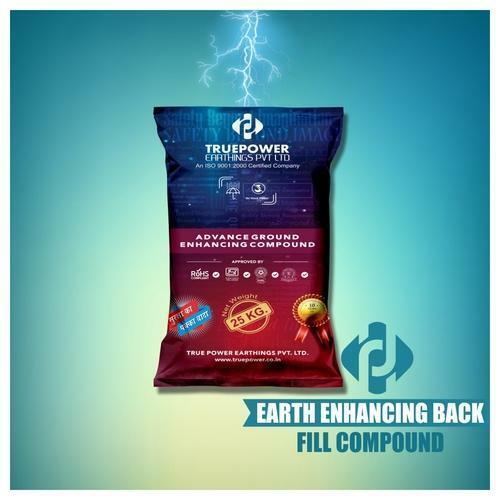 We are among the pioneers in the industry as Earth Enhancing Back Fill Compound manufacturer.The Excavated soil is suitable as a Back Fill but should be sieved to remove any large stones, plastic or debris and placed around the electrode taking care to ensure that it is well compacted. Material like sand, salt, coke breeze, cinders and ash shall not be used because of its acidic and corrosive nature. Earth Enhancement Material Tested From NABL Accreted Lab. Due to Conductive Material Improve the Soil Resistivity. Its also increase the conductivity of the Earth Electrode. No Need to pouring water time to Time. Shall Have High Conductivity, improves earth absorbing power and humidity retention capability. Shall be non-corrosive in Nature Having Low Water Solubility but highly hygroscopic. Shall be suitable for installation in dry form or in a slurry form. Shall not depend on the continuous presence of water to maintain its conductivity. Shall be permanent & maintenance free and in its SET Form Maintains Constant Earth Resistance with Time. Shall be thermally stable between -100C to +600C ambient Temperatures. Shall not require periodic charging treatment nor replacement and maintenance. Shall be suitable for any kind of electrode and all kind of soil of different resistivity. Shall not pollute or local water table and meets environmental friendly requirements for landfill. 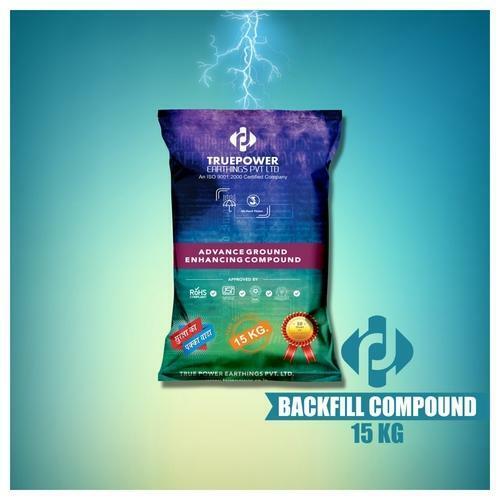 It comes in 25kg Bags and 15kg Bags available on demands. Looking for “Back Fill Compounds”?